Adobe Books will live on, in a new space on 24th Street! Will Brown is excited to hear that Adobe Books is moving to our hood! Adobe Books signed their lease for their new home at 3130 24th Street between Folsom and Shotwell! They’re opening in June! “Big news and hopefully true. 24th Street would be bookstore alley,” says reader Alissa who sent us the tip, “It would be excellent for Adobe and the neighborhood.” Agreed! We’ve got some very exciting news to share. 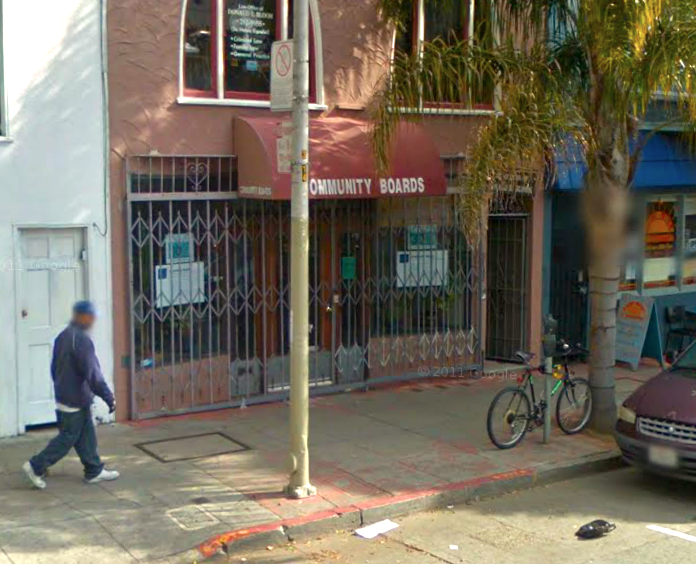 Adobe Books has officially signed a lease for our new home at 3130 24thStreet between Folsom and Shotwell! We’re so happy to find a beautiful new space in the Mission District where the new Adobe Books and Arts Cooperative can thrive! Though we won’t officially be moving until June, to get a head start on getting to know our neighbors, Adobe Books will be participating in this weekend’s Mission Sunday Streets. Please come and support our new store! We’ll be there between 11am – 4pm with a selection of used books, some friendly faces from the coop group, and Andrew with his camera. Oh cool, yeah, Sunday Streets starts this weekend too! Who's to Blame When a Local Business Closes? i still hope people boycott liz claiborne if that ends up being what goes in the current adobe space. Does anyone even shop there in the first place? Seriously. Keep your mall stores in Union Square, please. activism in the Mission. Oh except that you think at one time “it was an IRISH hood, wow that’s so cool.” Actually it wasnt. You’re dumb.And about as book read as Palin. I would suggest Sugee, and Hartman for urban studies reference, among many others, but you’re too busy taking pictures of burritos. Five years . Gotta say, if you’re going to attack somebody at least spell his name right. Go home, Tommy. You’re drunk. Allan Hough or Kevin Montgomery? It’s a toss up for MOST AWESOME MISSION BLOGGER. Thank god for these two. It’s a fabulous new home, just wait and see. 24th St. — purgatory for book stores. John Ratliff needs to stay on 16th. I really don’t want him hanging around my house. Swan will be on your stoop. The transformation of 24th street is proceeding in exactly like Valencia: Cafes, restaurants, bookstores. Same story over and over. So it has about 20 years before it’s ruined. 5 years. Everything moves faster now. I can’t believe they’re displacing the beloved Community Boards! This is an outrage! 24th Street does not need another bookstore. It needs more mini-golf bro-hangs. While I know your statement is sarcastic, I actually agree (at least with the first half). There are two other great bookstores on this street already and they are pretty empty most of the time. I live 1 block from the new location, and I don’t really think the street will benefit much from it, because we already have good options. I hope Swan goes with them. So glad they’ve managed to find a new home. It’ll go on my normal Borderlands -> Dog-eared -> Dog-Eared Annex -> Modern Times stroll. So where will Community Boards re-locate?